Every language has some slang words, and we use them in informal conversations. But, English slang words used by native English speakers often confuse beginners in English as they never learn English slang words and when such informal vocabulary they hear, they keep wondering, what are these native English speakers talking about. In today’s Spoken English lesson with Meera, learn some commonly used slang words to describe your friends and family. But make sure that you stay away from using them in your Formal English speaking or don’t write them in your exam. Hi guys, welcome back to Let’s Talk, this is me Meera, your trainer for the day. Today what I’ve got for you is, slang words we usually end up using for our friends and family and well if you are not one of those who are able to use slang I can assure you that these are not offensive words, people are not going to get hurt with it only for those whom you love or you like, especially your friends and family you should use for them and not for your professional life at all no matter what kind of friends you have become, okay? I’m quickly going to jump into the session for the day and we are going to start with the word or the slang word “squad”. Now squad, usually is a girl’s squad okay specifically okay? Now these are a group of or a bunch of girls who usually hang out together, party together and they’re the ones who have each other’s back, who trust each other and they are able to do so many things together, probably go on trips together and then end up solving each other’s boyfriend problems as well or family problems as well. So they call themselves a squad and they have a tight friendship with one another, okay? Now that’s a girl squad, a group okay? Moving from here we have a very, very hip-hop terminology called “home boy”. Now this actually represents someone whom you can really trust and have faith in. You know and someone you probably end up calling at the end of the day saying, “Hey could you please do this for me?” Could you do this favor for me? Or you know what I’m really hungry, I feel like having this, why don’t you get it for me and he will do it for you and home boy represents exactly someone who’s from the family, of the family but still a friend, okay? Moving on to “bruv”, another very short and slang word for brother of course from another mother here or probably you’re calling your own brother just bruv you know “Hey bruv”. I’m sure you must have seen this in so many English TV series if I’m not wrong they commonly use the word bruv to call a friend out, a guy friend out. Usually a guy uses it for a guy. Okay, “chicka” now a very, very nice way of calling your friend. Chicka is a girl-friend. But let me tell you what, only a girl can call her friend which is a who’s a girl chicka, hey chicka hmm. Now having said that even if you’re someone, you’re a guy and you want to call a girl chicka you have to make sure that you say it in the most respectful manner and you know that that friend will not mind it. Please don’t say these things to strangers otherwise you would probably get slapped by someone and you don’t want that, do you? No, right? Okay so chicka is usually a girl-friend a girl calling her friend chicka, “hey chicka let’s go for a party.” “hey chicka what are you doing today for lunch, let’s go out.” “Do you want to go for a movie chicka?” That’s how you can use it. Now “possum”. Okay, I really like this. I’ve heard a lot of Australians using this cute little word possum. Now possums are animals who are really, really naughty and really fast as well, okay? So if you have a friend who’s really naughty and who does a lot of who’s very mischievous you can call him possum with a lot of affection and love. Okay, so a naughty friend who’s very mischievous can get a cute tagline of being a possum, “hey possum, come here.” “I knew it was you who did this, you little possum.” Okay but it’s again with a lot of love. Moving on from there we have something called as “rellies”. Now this terminology like I said I was talking about friends and family rallies as you can say is for relatives in general, okay? Probably when you are going out for a dinner or you have a family get-together you can tell your friend who’s asking you out that, “hey do you want to go out for dinner tonight?” “do you want to go party tonight or for a movie?” You can tell them that, “oh sorry! I cannot make it today I have to go meet the rellies.” So you’re trying to say that you want to go and meet your relatives, okay? Moving from there we have “rents” which is actually a short form of parents. 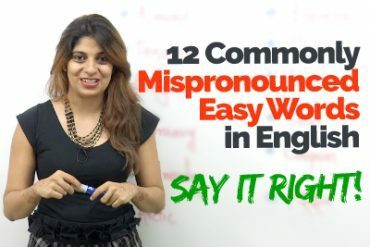 Of course it comes from a very, very obvious spelling right there, this term is specifically widely used in New Zealand and Australia, so calling the parents, rents. Okay so I’m going to my rents today or this Sunday no plans for me guys I’m going to go visit my rents. Now this is obviously another terminology for “folks” which we use quite often, more than parents we end up saying folks but now you can say rents as well okay? Well next up we have, “Fam”, another term for family. You know what, you probably have a family group on WhatsApp and you have a get-together coming up really soon, so you can probably prepare a message and text saying ‘fam Jam tonight’ that means all of you are going to meet and have a lot of fun, right? So that is how you can meet fam. I’m going to go meet my fam today. I cannot wait to go meet my fam. Or we’re gonna travel together me and my fam. That’s how you can use it, okay? Now coming to the second last one which is “hommies”. Another very hip-hop way of calling your friends and family hommies. Of course we have heard people he was really calling their friends hommies but let me tell you what if you have a family as chilled out as mine, you can call them hommies as well and they would not mind it, okay? So again hommies are the ones who probably our friends but who are so close to you as good as family, okay? And on the other hand like I said, you can call your family hommies, they could just be the coolest people and they could be the family just as good as friends, okay? And the last one here is “dope”. A friend of yours again, it has to be a good friend otherwise people really get hurt or get offended. So here in this case a friend who’s really awesome and really cool, you can call him dope, okay? Cool or awesome friend. Right and that could be your dope friend okay? Now let’s quickly revise and see what we’ve learned today, we learned that “squad” usually is a group of girls who are tight and thick friends whom you cannot tear apart. Okay then we learned that “home boy” is someone from you are actually mentioning to a guy and not a girl coz that’s a boy written right there. You can also call, you can call someone home girl as well what’s the harm, it’s correct “home girl” it’s fine okay and it’s correct. And then we learn that “bruv” is just another terminology for a brother, okay? “Chicka” is a Spanish way of calling your girlfriend out and “possum” is your notorious and mischievous sweet little friend okay? “Rallies” are your relatives. “Rents” are just a short form of parents. Moving on from there your family is your “fam” and you’re having probably having a fam jam tonight, okay? Make sure you send that message on WhatsApp the next time you have a family get-together. Your “hommies” like I said, your friends as good as family or your family as cool as your friends could be your “hommies” and then “dope” a friend who’s so cool and so awesome that you love to hang out with him or her quite often and that’s also a way of complimenting. Remember what I said, do not say these words to strangers or acquaintances or in your professional world. It’s a big no-no it’s only for the people who you love and care about. Well that’s about it for today guys, I will be coming very soon right here to with new and interesting lessons until then keep practicing, keep smiling, this is me Meera signing off of the day guys, bye. Previous Previous post: Geographical Vocabulary Used In Daily English Conversation.